Now in its 16th year, the Fine Art Photography Summit is the annual event organized by Natalie and Alain Briot. Since its introduction in 2002 this event has been extremely successful and has brought together photographers, students and manufacturers from all over the world. - Create an event where the entire process of creating new images is taught. 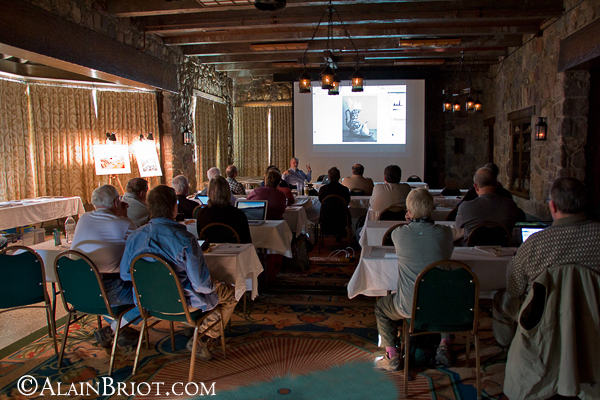 Unlike our Field Workshops where we focus on creating new images, or our seminars where we focus on processing images, the Fine Art Photography Summit is designed to teach you the entire process. 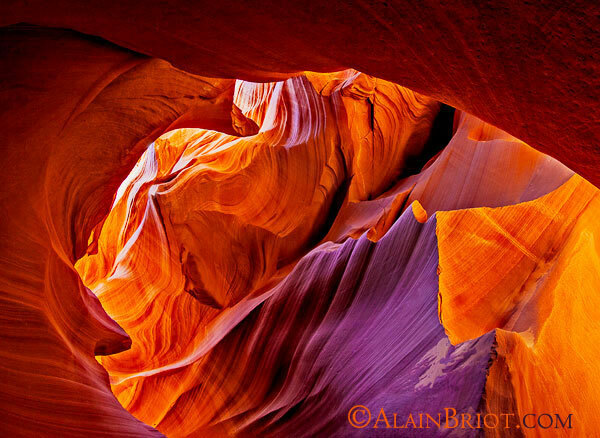 We start by creating images in the field, this year in Antelope Canyon and the landscape near Page, Arizona, then we proceed by teaching you how to convert these images from Raw, process and enhance them and finally print them, all under our expert supervision and the supervision of our guest instructors. 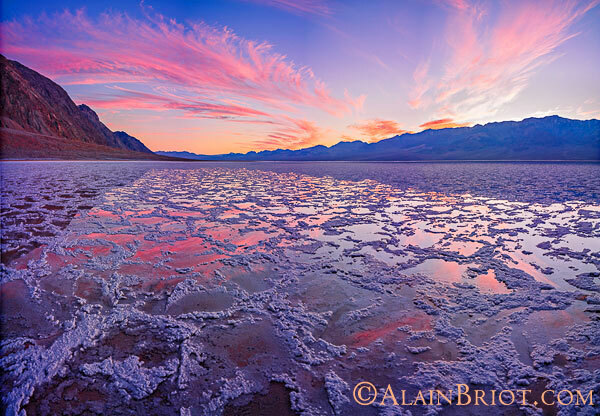 Finally, we conclude by offering a print review of the work created during the Fine Art Photography Summit so that you have strong feedback about the work you just completed as well as a good idea of what to do next, where to go from there. - Offer the opportunity for participants to not only study with us but also to have the opportunity to socialize and interact in an informal setting propitious to 1 on 1 interaction and discussion. Photography is not just about learning how to do things better. It is also about learning why we do certain things. The why, in our estimate, is best taught one on one through casual interactions than through formal classroom presentations. In addition we offer a 3 day field workshops afterwards for those who want to go even further and expand their portfolio through this unique photography opportunity. This year's field workshops will take us to Navajoland where our focus will be to explore our personal style, find vision and inspiration and start working on a project that we find particularly attractive. One of the highlights of the are our Guest Instructors. Each year we invite a photographer who is an expert in his field and who is recognized as such by the photographic community. In previous years we have had presentations taught by Michael Reichmann, Charles Cramer, Joseph Holmes, Tony Sweet, Mark Nelson, and Mac Holbert among the many other guests instructors that have participated in the Summit. Our 2017 Guest Instructor is Jeff Schewe and we look forward to his teaching, knowledge and insights. Guest instructors are usually attending the Summit for a specific year, making it worth attending the Summit several years so that you can benefit from the different approaches followed by each of our Guest Instructors. Another highlight of the Summit are the tutorial sessions. This year's sessions will be taught by Alain Briot and Jeff Schewe. 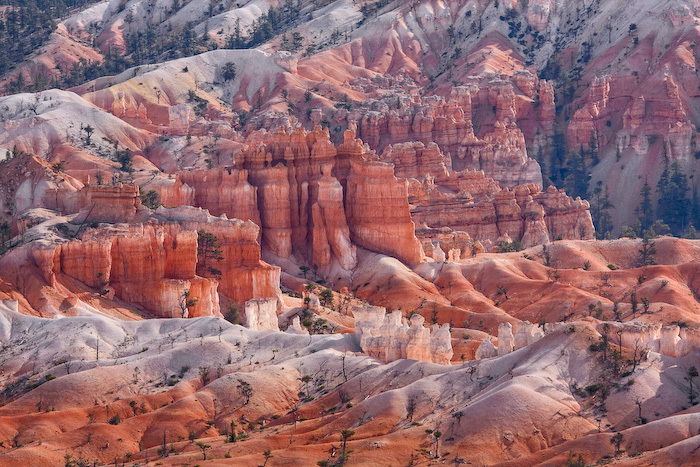 The tutorial sessions focus on the different aspects of the photographic process, from field work to image processing and printing, including composition, image enhancement, personal style and much more. The Summit Description page lists the Tutorial Sessions scheduled for this year. In the evening, as well as during the day in-between tutorial sessions, Summit participants have the opportunity of working one on one with Alain Briot and in 2013with Jeff Schewe. This is a truly unique opportunity, since working 1 on 1 with any of us is normally possible only through a 1 on 1 consulting appointment, an approach which carries a much higher cost. Working 1 on 1 with us brings all the benefits you can expect from individual instruction: you can ask and receive answers to specific questions about your work, you can get undivided attention regarding how to conduct specific parts of the photographic process, and you can expect us to focus on your needs only, instead of on the need of the entire class. This is something that many participants find valuable in our experience, and a reason why many participants return year after year. Photography is our passion. We do photography because we love it, not because we have to do it. This comes across in our approach to life, but it is something that is difficult to convey on our part, and difficult to understand on your part, over the web. It is best conveyed in person, over dinner or over a glass of wine, than over a website description, or an Email or even a phone call. What I am trying to say, to cut it to the chase, it that besides being a fantastic opportunity to improve your work, to reach to the next step, to learn new techniques and to meet great people, the Summit is also a lot of fun. The atmosphere is relaxed and we are amongst friends who all share the same interest, the same passion for photography. Some of the greatest moments of the Summit are shared over dinner, or while admiring sunset, or simply while sitting and chatting about things. Some of the most memorable insights come when watching people work and understanding now only how they do what they do, but why they do it the way they do, why they chose this particular approach and how it has shaped their vision and their work. So come and join us. We believe you will find the experience to be one you will treasure for years to come.